Why does it always seem like, no matter how much they’re into, guys are impossible to buy for? 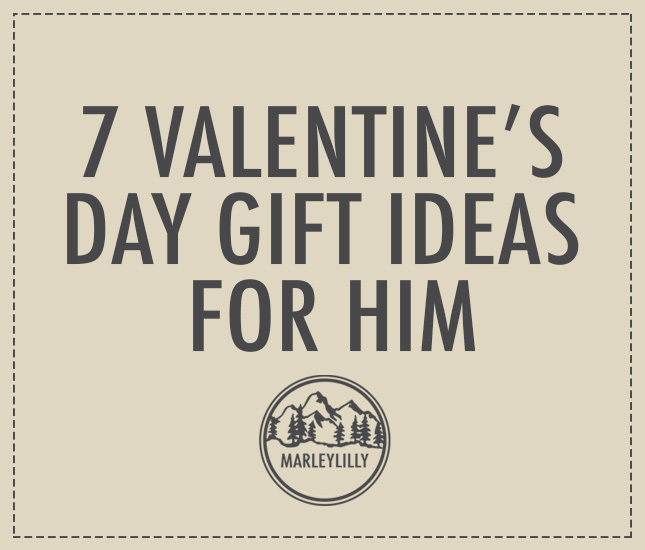 If you’re hung up on what to give your guy for Valentine’s Day, take a deep breath and reference the list below. Featuring all kinds of clever, unique and customized gifts for him, this collection surely includes something extra-special that he’ll cherish for a lifetime. We’ve provided a great assortment of ideas for all kinds of guys, whether he’s into globe-trotting, concert-going, tailgating or beer-drinking. For the Jet-Setting Dude: Personalized Travel Gifts—So you and your gent love to get away! He’d love anything to help celebrate his wanderlust and love of adventure, like a personalized luggage tag or a stylish canvas dopp kit for all his toiletries. If you really want to go big, surprise him with a weekend away (or give him a gift card for a travel website or airline) so he can put his sweet new swag to use. For the Ultimate Fanatic: Concert or Event Tickets—One of the very best things you can do for your partner in crime is to show interest in the things he’s into. If he’s a mega-fan of a certain band, comedian, sports team, podcast or motivational speaker, snag a set of tickets just for him. You can get creative with your presentation (and maybe even record him opening it so you capture his reaction) to make it especially memorable. For the Big-Time Beer Drinker: A Beer-Themed Duo—The perfect beer-themed Valentine’s Day gift is comprised of two important components: a perishable (that is, beer) and a non-perishable. For the first part, select something that’s special—a limited-edition, novelty or hard-to-find brew, perhaps—that you know he’ll be pumped to try. For the non-perishable, select one of our beer-inspired monogrammed gifts for him, like a wall-mounted bottle opener or a leather Koolie. For your actual Valentine’s Day date, plan a beer-tasting at a local brewery. For the Dedicated Athlete: A Personalized Water Bottle—Make sure he’s well-hydrated so he can take his athletic performance up a few notches! The best way to do this? With a monogrammed water bottle, of course. This is also an excellent gift for the guy who’s addicted to bottled water (and, not to be a downer, but plastic bottles are really bad for the environment). Help him stay hydrated and go green with one special gift. For the Outdoorsy Guy: A Personalized Cooler—Whether he’s a diehard camper, hunter or fisherman, a very serious tailgater or that friend who never shows up without a six-pack, a monogrammed cooler is pretty much a guaranteed hit! We love this Valentine’s Day present because it can be paired with his favorite case of brew for a standout presentation. Don’t forget the ice! For the Savvy-Dresser: A Well-Organized Closet—Dapper dudes may look perfectly put-together when they walk out the door, but we all know that many of them suffer from a chronically messy closet. Give the gift of a closet overhaul with new storage solutions and a fresh clean-out. You can finish your gift with some monogrammed cufflinks to add to his collection. For the Sophisticated Sipper: A Noteworthy Bottle—If you’ve been looking for the perfect excuse to buy your guy that bottle of top-shelf liquor he’s been eyeing—think: that coveted whiskey that’s been aged a couple of decades—then now’s the time. Make it ceremonious and extra-special when you invite him to store it in his very own personalized decanter set. He’ll definitely want to raise a glass to that! Nothing from the above list striking your fancy or speaking to your inner gift-giving goddess? Take things up a few notches by creating a next-level gift basket for men. Create a theme—say: craft beer, spirits, sports, running, cats, his favorite franchise, etc.—and fill your basket with a mix of thoughtful, monogrammed gifts and perishables, like beer, wine, liquor and candy. Marleylilly has the perfect affordable but personalized extras to toss in your luxury gift baskets. Explore our complete collection of monogrammed and engraved gifts for him to come up with smashing, present-worthy products that’ll blow him out of the water this V-Day!